For FingerTec customers who are familiar with biometrics terminals like R2, Kadex and R3 deployment and the way they are configured, the introduction of door controllers in the mix might confuse them up. Many have chosen to stick to the way things are and not keen to learn about this new system. Let’s have an open mind and learn about the potential of controllers for you can serve a portion of your clients that are looking for this kind of setup. Knowing the benefits of the controller can bring your door access business to another level. First thing first, what is a controller? The concept of master and slave remains true in the deployment of door controllers where the controller is the master, and the biometrics/card readers are the slaves working for the master. Basically, in a controller setup environment, you need to connect the slaves to the controller and let the controller controls everything. Get it? 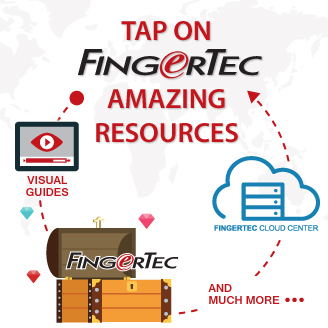 Let’s figure out 6 interesting facts about FingerTec's Ingressus controllers. Cost Effective – To install master readers like R2 or R3 at all doors in a multi-door environment could be expensive because practically you need one master and one slave at all doors that you want to secure. Door controllers like FingerTec’s Ingressus have a few types which you can choose either to have a one-door, two-door or four-door installation. In short, you only need one master (Ingressus) for a two-door or a four-door installation. This can cut your implementation cost by around 13-20%, providing a more economical and cost effective option for your clients who want to mix and match the devices but simultaneously get the most effective system for their door access control. Device & Data Centralized – In any door access control system, apart from the facility to provide a controlled environment, it also has to provide the audit trails of access activities to define its effectiveness. A controller solution like FingerTec’s Ingressus has been designed to gather all the access data received from the slave devices, which then can be pulled into the bundled software for a complete overview of the access security situation. Scalable – The cost of access controller implementation is 13-20% lower than of the regular master-slave whole reader, and in addition to that, a controller such as Ingressus has a few types in its series, Ingressus I for one door installation, Ingressus II for two doors installation and Ingressus IV designed for a four door environment. You can scale the deployment of the controller to your requirements to make the best out of your budget, and at any time you can expand the deployment to larger areas by adding a few more. Can be integrated with other solutions – A complete security system usually makes up for a few separate systems including door access control, surveillance cameras, alarm system and many more. Using a controller like FingerTec’s Ingressus, you can consolidate all these systems in one Ingress system and control them all from one centralized location. Easy Installation and Configuration - Like many other new gadgets and electronic appliances, the installation and configuration must be user-friendly. FingerTec’s Ingressus works that way as well where no guessing game is required because the device is equipped with readily available I/O ports for user’s convenience, and it comes complete with user guides and tips to assist you in system deployment. Last but certainly not least, Ingressus has many Amazing Door Access Functions embedded in it including Surge Protection, Interlock Function, Antipassback and many more. When all functions of a door access system are centralized in one device, the purchase of it is definitely worth the investment. 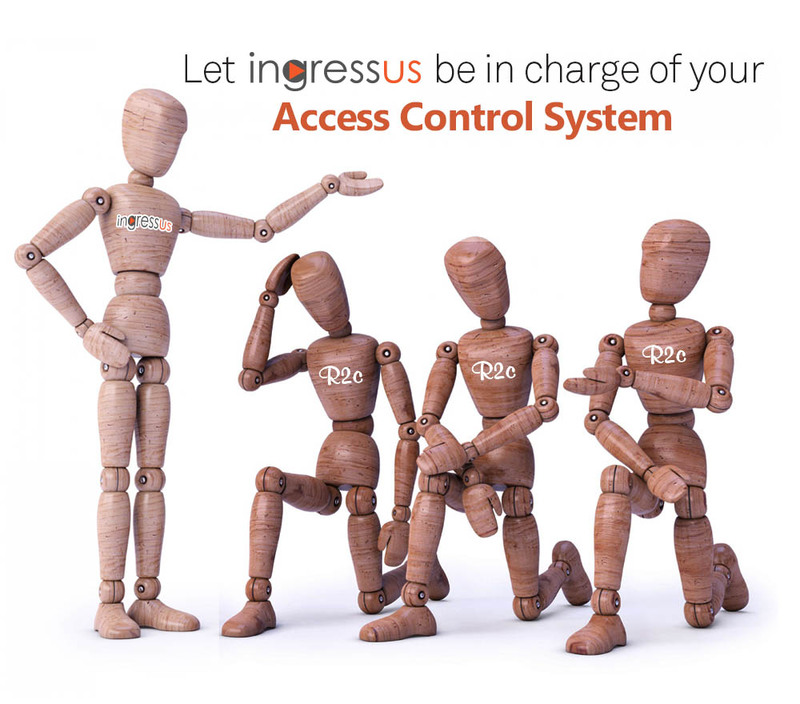 All Ingressus purchase is bundled with the powerful door access software Ingress for a comprehensive management of access data on MySQL or MSAccess platform. Find out more about FingerTec’s Ingressus Controller and email us at info@fingertec.com to purchase. Time is what we need but most of the time; time is what we lack. The more we want to have more time, the faster it seems to disappear. Working in the corporate world, employees are always wrestling with time, and more often than not, many of us would have to sacrifice important events in life for our work’s sake. Missing important dinners with families, missing precious times with growing kids, missing social lives, missing a crucial date with the one and etc. One of the reasons employees need to take more time than required is because usually either there is no system in place or the system is not providing what it is supposed to be doing. Time & attendance system is more than just meets the eye. It’s not merely about recording staff’s clock in and clock out; it should be about having an accurate automated system in place to monitor the clocking activities of every staff, assessing the cost it incurs to the business and link the data to the human capital cost to obtain the ROI. 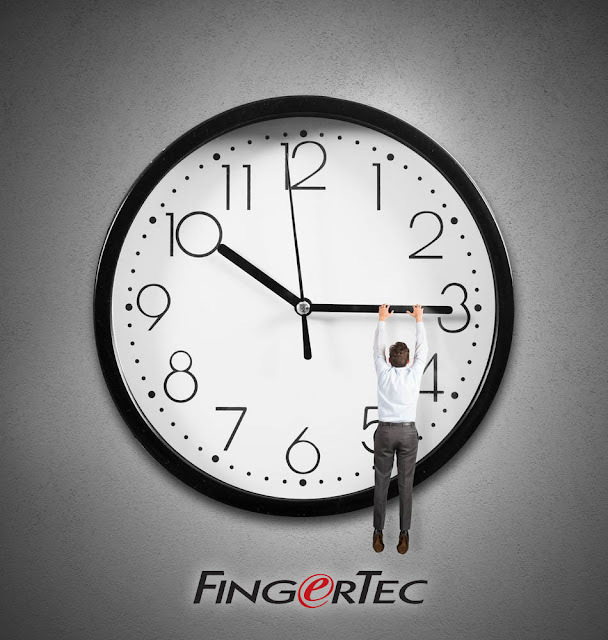 Installation of biometrics time attendance system such as FingerTec time attendance system could be your time savior. Read on. Time attendance data collection using biometrics system is not relying on users or other people’s whims and fancies. To get verification, users will need to place their own fingerprints on the machine to verify their presence. The recorded data is kept in the system without users having the rights to alter its originality. And all data will be centralized in one system for further processing. With a time & attendance system like FingerTec, if you are late, you are late. Let the time tells your story. 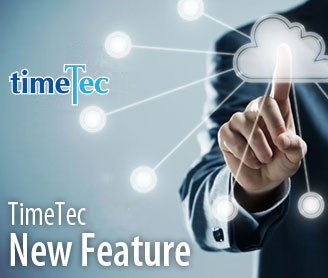 The time and attendance software like FingerTec’s TCMS have the ability to keep all user data on a centralized server so administrators don’t have to key-in any data manually and repeatedly, saving a lot of time in the process. Retrieval of data also is made easy without having to sift through tons of written records and manual time cards. When your organization has groups of staff that work at different hours for different tasks, scheduling settings can be easily configured and determined earlier with a system like FingerTec and its software TCMS V2. Group A that has a constant schedule weekly is assigned with schedule A, Group B which has a cyclical schedule has to follow schedule B, Group C that works on certain days in a week must abide by schedule C, and etc. By having the right system configured beforehand and administrators do not have to get involve in the complex scheduling over and over again, it potentially could save a lot of time. Having data is almost meaningless without having its reports available. A time & attendance system like FingerTec is able to produce various printable reports automatically and you can also export the data in various formats to ease your work and also to save a lot of time in the process. And when all data is digitized, it’s easier to link the data to the third party software such as payroll for further processing and further time savings. Overall it will provide not only improvement in the business process but also overall employee satisfaction for the job well done and within time. If your organization is still struggling with time and the admin and HR departments’ personnel always sacrificing their time for work, Time and Attendance system could be your savior. Inquire within at info@fingertec.com and all FingerTec biometrics systems come with complementary management software, TCMS. 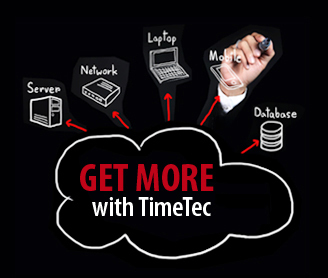 For cloud time and attendance solution, we recommend you to go for www.timetecta.com. Get 10 user licenses free for life when you sign up with us!